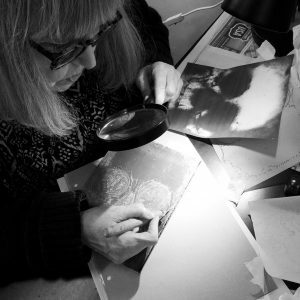 Drypoint on Copper is a method of drawing and mark making directly on to a metal plate with metal tools, but without the need of then etching the metal. 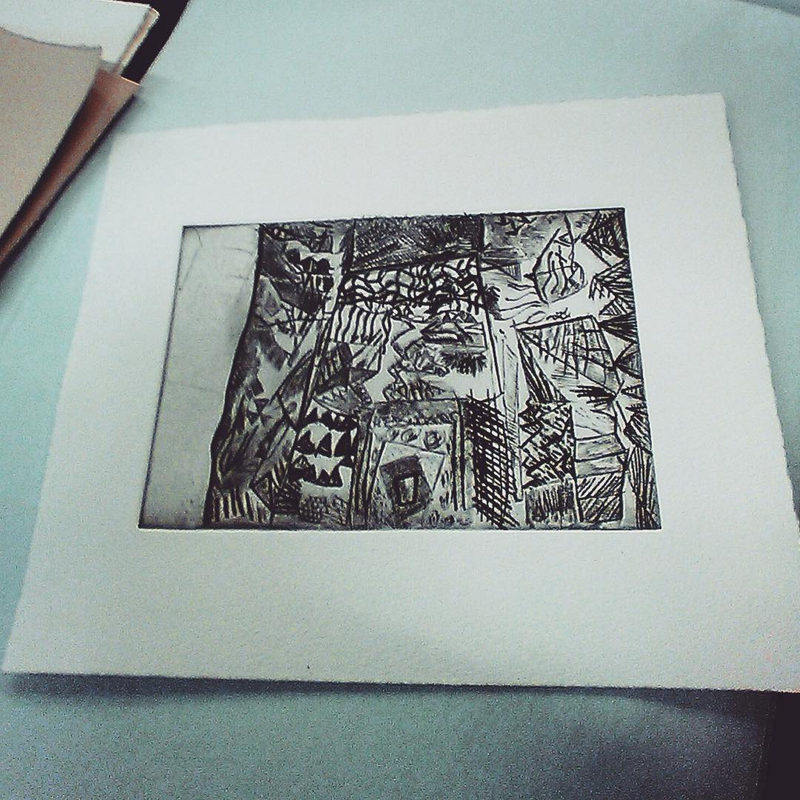 The plate is then inked and printed in the intaglio method using a press. This technique can produce variations of line and texture within the printed image. 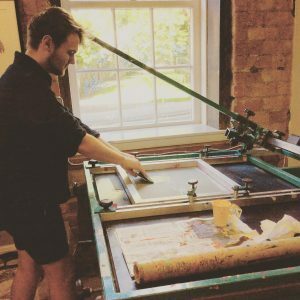 From fine detail to heavier marks with a distinctive ‘Bur’, this method is suitable for those who prefer quicker results and for those who enjoy the more physical aspects of printing involved. 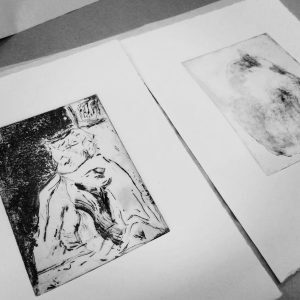 This technique is suitable for those who are new to intaglio printmaking as well as those who have some experience of etching previously and may wish to further polish their skills.